For many people on campus, visiting a place of worship for a faith they are unfamiliar with may be a rare or even nonexistent occurrence. To increase awareness of different religious faiths, Grand Valley State University's Campus Interfaith Resources will be hosting a visit the Masjid At-Tawheed mosque on Friday, Jan. 26, from 11 a.m. to 3 p.m. Students can make reservations online or by contacting Campus Interfaith Resources. “It’s my special project; I wanted to get students off campus and involved in Grand Rapids,” said Lauryn Nett, a graduate assistant at Campus Interfaith Resources. This trip is part of a series of events Nett created in which students can visit various religious centers in the West Michigan area. The trip is created with students' education and empathetic understanding in mind. Members of Campus Interfaith Resources have said tours and events similar to these expand students' horizons, opening them up to new opportunities and connections. Nett believes the uniqueness of the experience will be constructive. Masjid At-Tawheed is about 30 minutes from campus and welcomes non-Muslim visitors. The mosque hold various activities throughout the week and also hosts special events for the local community. “We contacted a bunch of places of worship," Nett said. "The mosque was the one that answered right away saying yes and giving us dates we could visit." Visiting the mosque in particular might have a special impact on students. 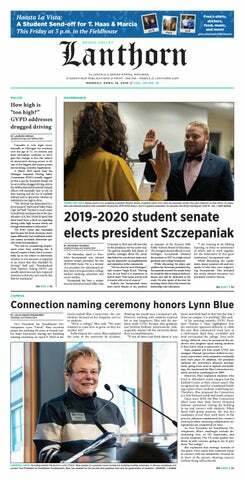 “I think they’ll gain a better understanding of Islam; I want to have a role in combating Islamophobia, at least in Grand Valley’s region,” Nett said. Being able to experience the diverse cultures of Grand Rapids may also be a plus for GVSU students. “In college, you’re on campus all the time, but there’s a great city just 20 minutes from Allendale,” McIntosh said. There are other sacred site tours planned as well: the West Michigan Hindu Temple on Friday, Feb. 2, and the Temple Emanuel on Friday, Mar. 16. Nett said there is a waiting list for the Hindu temple tour, as student responses were high for that event.